A Ferrari one-two in Friday practice, Mercedes off the pace and Red Bull nowhere near on the timesheets? On paper, that looks like bad news for Mercedes, especially with Lewis Hamilton having to serve a five-place grid penalty for a gearbox change. But based on a look under the skin of the lap times there's every sign that Formula 1's dominant force, presumably now led by Valtteri Bottas, should be concerned about something other than Ferrari. Not because Ferrari doesn't show some promise, but because there's no point in worrying too much about your second biggest threat. For it is Red Bull, third-best of the top three teams in the Australian Grand Prix two weeks ago, that could have the race pace to be the main thorn in the side of the Silver Arrows. On single-lap pace, there seems to be little for anyone to worry about coming from Red Bull. After all, Max Verstappen and Daniel Ricciardo were almost a second off in FP2 - a lifetime in F1. As for Mercedes, Hamilton would have been around three-tenths faster without losing time behind Kevin Magnussen in the final corner. But the deeper you look into what happened today, the better it looks for Red Bull. Far from being out of the game, it was fastest on long-run times. Looking at pace on the supersoft tyres, Verstappen was fractionally quicker than second-fastest Bottas - with Raikkonen three tenths further back. This is based on comparing eight laps on the supersofts, with anomalous lap times eliminated. Some ran longer, but this allows a more direct comparison. Interestingly, if you look at the longer runs for the Mercedes drivers and Raikkonen, the Ferrari driver starts pulling back the gap rapidly, to the point where his pace is a tiny fraction faster if you extend the comparison to 11 laps. This hints that all might not be well with Mercedes in terms of its tyre management, something that is all important given the relatively high track temperatures, even under lights, and the significant traction demands of this circuit. Now, there is some more good news for Verstappen. Not everyone did long-run work on the soft Pirellis, but both Red Bull and Ferrari did. 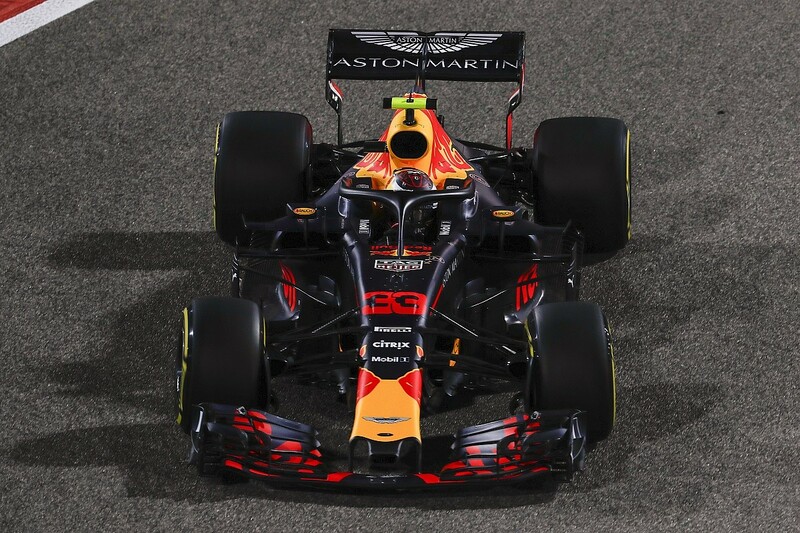 Verstappen's soft run towards the end of the second practice session was impressive - in fact, it was at an average of 1m35.278s - comfortably faster than any of the supersoft runs of equivalent length. Sebastian Vettel did do a comparable long run, and was four-tenths per lap slower. That's a big gap, but still fractionally faster than the best of the supersoft long runs over a comparable distance. Further back, it also looks to be an intriguing battle for the best of the rest position. On single-lap pace, Renault had the advantage but it falls behind Toro Rosso when you look at the longer runs. Sauber, too, has shown it has the pace to mix it in the midfield pack, with only Williams cast adrift. It's difficult to draw too many definitive conclusions from this, but whichever tyre you look to it suggests Ferrari is behind Red Bull on race pace. What's more, the concerns over the pace of Mercedes and its tyre management suggest it could be vulnerable. 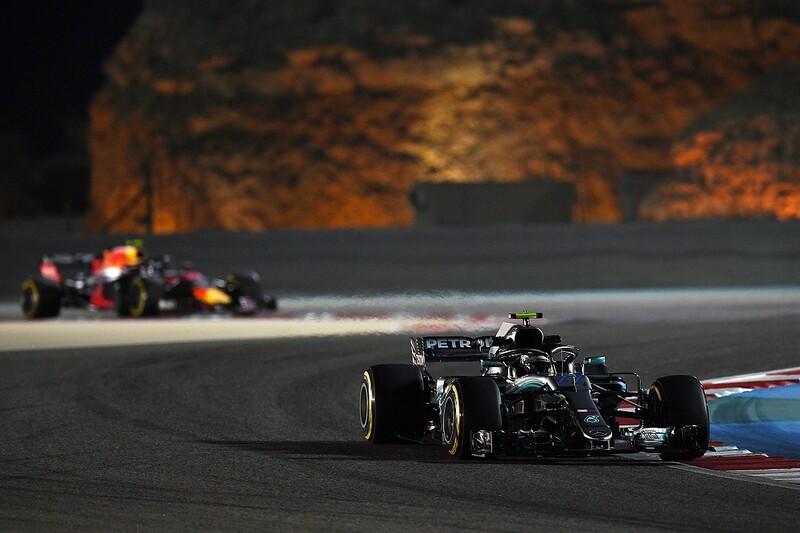 "It wasn't our best day from a performance point of view," said Mercedes technical director James Allison. "We've got more to do overnight and in the session tomorrow to give us a car that will allow us to have a good fight in qualifying and on Sunday. The base is OK but we have not yet found the sort of edge that we had in Melbourne." So it's all good news for Red Bull, right? Well not really. What could be difficult to come by is track position. Mercedes is perfectly capable of getting that edge back, and given Hamilton and Bottas were performing at a similar level it's possible this was one of those practice days where the reigning world champion wasn't quite on top of the car. There have been times in the past where it has been a struggle for Hamilton to get the car right here, including last year, so there could be more to come if he and the team can get the car working. But he seemed positive about the performance and consistency of the tyres, so doesn't seem too unhappy with it. If Mercedes does have tyre degradation concerns and Bottas can't rise to the occasion in qualifying, Red Bull could well be the team to capitalise. While Ferrari was, this time last year, excellent on tyre management, things don't seem to be so encouraging this year. Neither Red Bull driver ran long enough on the supersofts to give a clear comparison with the longer Mercedes or Ferrari runs, but the soft performance seemed relatively stable and encouraging. And in the Australian Grand Prix, Ricciardo was able to set the fastest lap with four laps to go on 28-lap-old rubber. "Even that was after 20-odd laps of pushing behind Kimi trying and hoping he would make a mistake," said Ricciardo of that race. "I wasn't nursing the tyres, and a few laps towards the end I did two easy laps just to create some space, and then I pushed that lap." So it's all good news for Red Bull, right? Well not really. The car is quick and potentially has race-winning speed. What could be difficult to come by is track position. Encouragingly, Verstappen should have been on the front row in Australia but for an error at Turn 13, and the car is certainly closer on raw pace here. But the Renault engine still doesn't have as much to offer in qualifying as the Mercedes and Ferrari power units. "I don't think we have what Mercedes or Ferrari have in qualifying," said Ricciardo. "You use everything, but their everything seems to be a bit more than our everything. "In the race, we're just a bit easier on tyres. Qualifying we need to find something, we don't want to say it's just the engine, we obviously want to find more with the car but the car didn't feel too bad in qualifying [in Australia]." So, assuming the pattern of recent times is repeated and both Mercedes and Ferrari have more of the tediously-dubbed 'party modes' for Q3 at a circuit that, while light on very long straights, requires some serious punch onto the four drags, Ricciardo and Verstappen have a big question to answer - how are you going to gain track position? The first, and easiest way, to do this would be to out-qualify all four of the red and silver machines. Hamilton's penalty is a big help, but Bottas was quick today and did take his first F1 pole in Bahrain last year so can't be discounted as pole position contender. The second way requires one of the two Red Bull drivers to jump ahead at the start. That's certainly possible with two big braking zones in the first four corners, but also can't be counted on. That leaves trying to make a position change happen either on track, or in the pitstops. 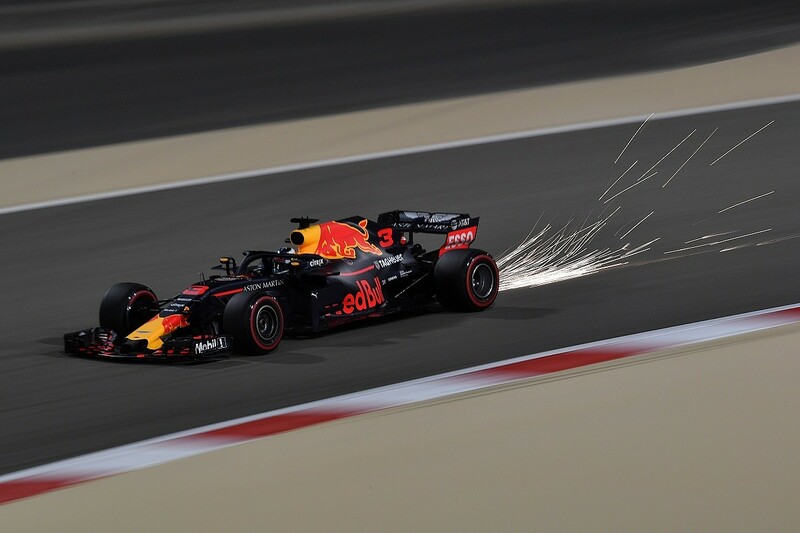 If both drivers are in the fight, that would give Red Bull two strategic bullets in the chamber in a race that is expected to be a two-stopper (although those outside the top 10 could try a one-stopper using a long medium-tyre stint). This could be doubly important with Mercedes potentially only having one car with strong track position, should Hamilton not make a leap forward at the start. Whatever happens, tyre degradation being more of a factor than it was in Australia should at least present more opportunities, especially for a team that has a line-up containing two of the best overtakers in the business. "In general, it's tyre degradation and also more overtaking opportunities, but also just longer braking zones," said Verstappen of why this race could produce the unexpected. "The track is a little bit wider so you can drive little bit different lines to stay out of the dirty air. And I think the DRS is a little bit more efficient here to pass cars. Those kinds of things make it a little bit more interesting." It should make for a dramatic race. There's not a shred of evidence to suggest Mercedes will have the advantage it did in the Australian Grand Prix, although we cannot rule out an overnight turnaround as we've seen in the past. 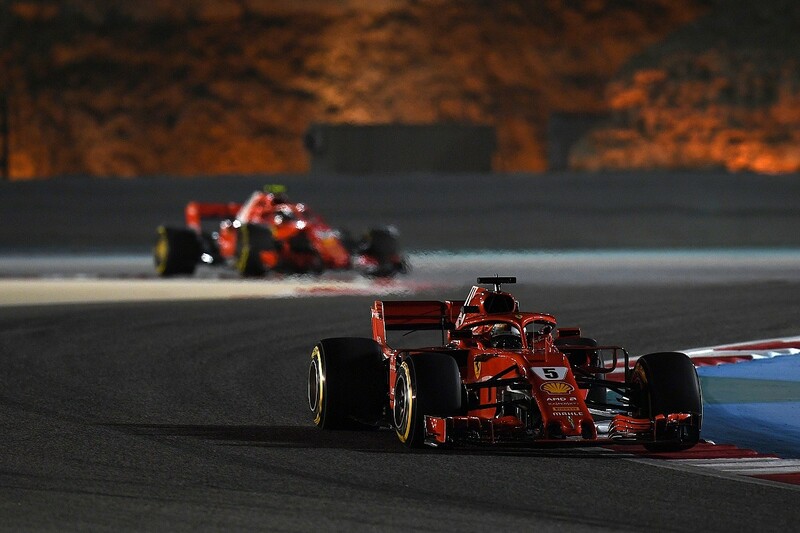 And if Red Bull and Ferrari can both be close on pace to Mercedes, then that will multiply the strategic complexities of the race and increase the possibility of something dramatic happening. Hamilton learned last year that you can be the fastest driver on the track in the Bahrain GP and you won't necessarily win without track position. He definitely won't have that this time, thanks to his penalty, and even with him missing, Red Bull might not have it at the start. It all adds up to a very promising setup for the Bahrain GP. One that might just remind people F1 can still throw up seriously dramatic races. It's game on both for qualifying and the race.